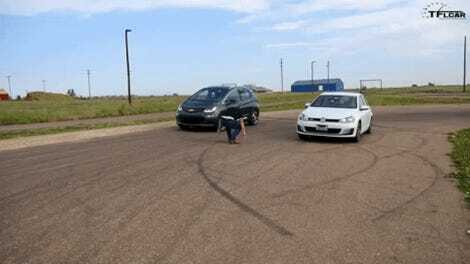 Which Comes First: An Electric-Only Volkswagen Golf or a 300 HP GTI? I was walking to work the other day, as the cold sunshine cast shadows from the scaffolding above 16th street. Wait, I realized. What is going to happen first: The base VW Golf will only be available as an electric car, or the base GTI will have 300 horsepower? Volkswagen has been investing in EVs for years now, with the company really getting serious after Dieselgate wrecked the company’s bigger-branded eco effort of “clean” diesel. The first E-Golf made its way to the public back in 2013, but the updated one around now came out in ‘17, for instance. Certainly you’d think that it’d be a matter of time until the electric option that’s moving from the fringe to the mainstream today will become the de facto option some point in the future. How many years that will take, I do not know. Two years? Five years? Ten years? And it’d also be of little surprise to anyone for the GTI to start with 300 horsepower. The Golf R already hits that number, as does the GTI Clubsport S. Given that the base GTI isn’t that far behind at 217 HP, I’d think that within that same window of, I don’t know, two to 10 years we’ll see the slowest GTI with a three at the start of its power figure. Given the steady progress of both electric cars becoming mainstream and performance cars getting ever more absurd levels of power, it seems like both of those things will happen, eventually. I just don’t know which comes first. 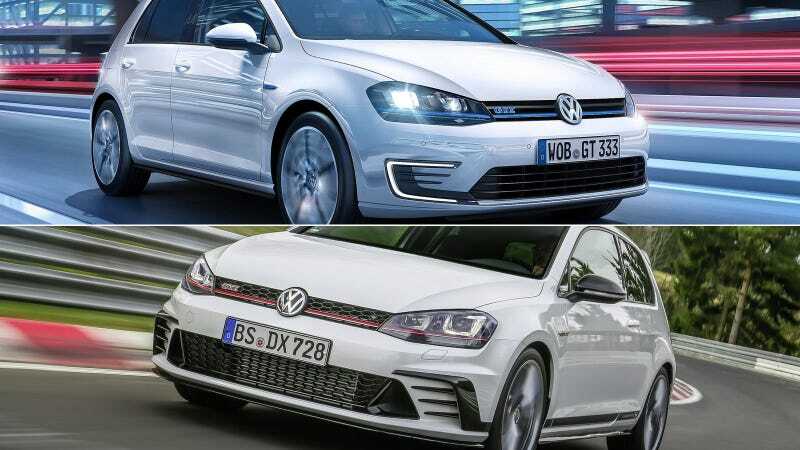 Is The Electric Golf Quicker Than The GTI?